Many people are not familiar with the fact that more than 65% asset managers employed in different firms are active on LinkedIn. However, the remaining professionals don’t even care about creating an excellent profile on LinkedIn. This rate shows the higher interest of professionals in this field to get promoted and gaining more work opportunities in the future. 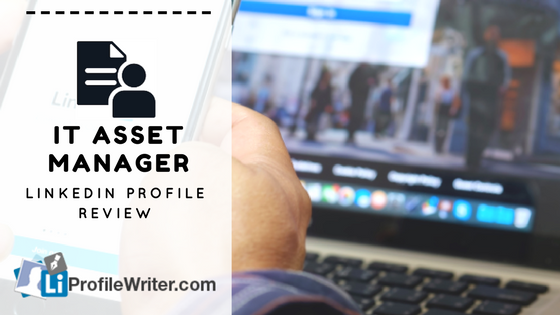 It is highly advised by all experts to create your LinkedIn profile if you’re an experienced asset manager or working as an assistant executive. Your profile picture and headline are two of the most important and most viewed elements of your profile.Consider updating your headline to give a quick overview of your background and the type of position you are seeking. Instead of ‘unemployed, looking’, you could update your headline to say ‘Experienced IT Asset Manager Seeking Position’. Adding a summary section would allow you to give an overview of your experience and explain more about types of positions that you would like. Consider being more specific about the types of positions that interest you. 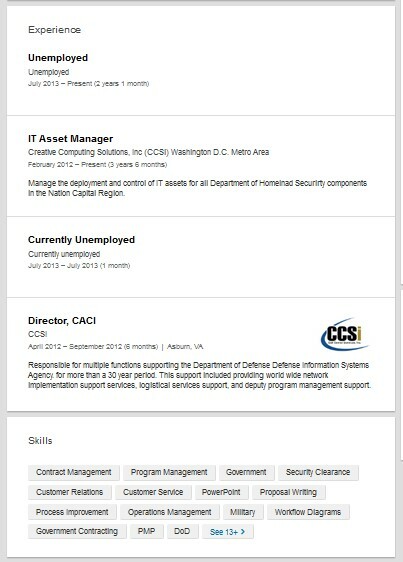 Recruiters for various position often search using keywords to fill positions. Having keywords related to your future position will help increase the chances of your profile being viewed and considered for positions. Also, consider attaching your resume in your summary section. 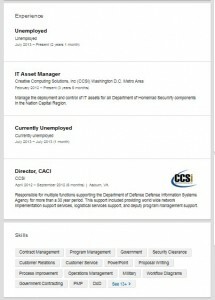 This will allow recruiters and future employers to review your full background as they view your profile. You might be also interested in our help desk analyst Linkedin profile review. The asset managers definitely need to use a personal the photo the on the profile. If you avoid doing this, then be ready to get neglected by the employers. The more connections and contacts in your list can help to hunt more work opportunities. The presentations, videos, photos, and documents are important to be added indeed. Media files can help to inspire your employers. Make a separate list of skills. Then, decide which are important to add and which not relevant. LinkedIn is not only the platform for adding known people. Although, you can add the known individuals but the only way to increase online presence is by adding unknown people. Grammar errors, typos, and spelling mistakes must not be made ever. This can negatively affect the reputation of the professionals. You can acquire new followers, gain more visibility and grow the influence by sharing self-written posts. This is as simple as you read it. Be the part of more groups for discussing numerous best opportunities and jobs. The skills, company or names can be used to find the exact people. Don’t go overboard and keep active. The use of abusive language is not accepted at all. The experts shouldn’t be taken for granted when you look for best pieces of advice. Every asset manager suggests focusing on paying attention to all elements. The components of creating the best LinkedIn profile are the catchy headline, set of skills, work experience, and other major components. It is suggested to avoid mentioning titles of employers or companies where you want to work. In the starting process, you should begin reading the data. The summary of the profile should be edited at least by giving half an hour. Use the online software or tool to recheck the summary and description of work experience. The most recent work experiences are important to be added. If there is anything to be included, then do it without any reluctance. Follow the profiles and pages of professionals. This can help you in making more improvements in the personal profile. Rectify all the major spelling mistakes. Make sure that mistakes of phrases create the first bad impression that can result in disinterest of employers. Now, you would be able to create a foremost profile of LinkedIn for getting best work opportunities.